Rochdale Northwest, A-Z Free social media advertising business community services, events. Offering a Northwest promotion, for your business group. Retail listings in our Directory. Create your own internet Shop. We can help, with design, promotion. to support your Business for Free. 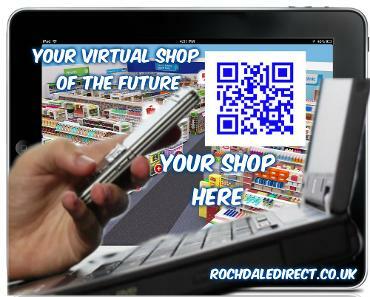 Store share is a website with a future business plan, you can have your own page on this website to share your products services. Linking and Promoting business in the Northwest.